God is still in the miracle business. Sometimes we are too busy to see them——a smile from a passerby, a rainbow half concealed by clouds, a text of encouragement from a friend. All a nudging from God. Often we miss God moving mountains. We are too absorbed in the details or consumed with fear to see God’s hand in our lives and circumstances. But if we did . . . the glory of God’s presence would overwhelm us and bring us to our knees. Ask God to intervene in your life, your situation, and you will see miracles. Remember God has power over all creation; He has the ability to work miracles in your life. Today I’m staying observant, watching for miracles. Are you? I believe there is power in stories, offering lessons learned, and personal growth. My writing has gone through a definite progression, from poetry to Contemporary Christian fiction. It’s a movement through life’s seasons. It began with a poetry book, Promises Seeded Inside, and then an up-close-and-personal coming of age novel, Depression Cookies (rebranded Heart Chatter). 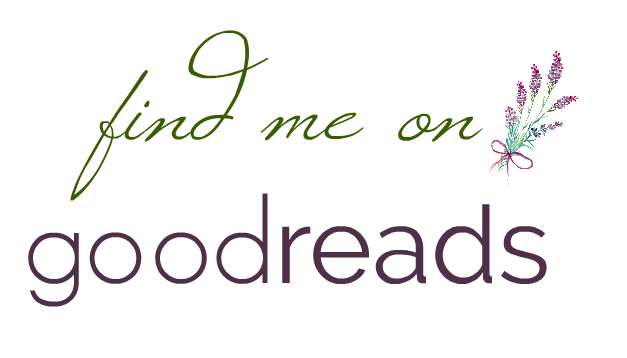 All my writing is about God leading me into the struggles and successes humans encounter every day. Brokenness. Unforgiveness. Loss of identity. Unworthiness. Addiction. Remorse. Lies. Truth. Love. Grace. Mercy. Redemption. God has taken me into the belly of human frailty and hurt. I never meant to write about it, but God kept pressing me. I had to tell the story of brokenness to reveal God’s mighty work in the lives of His people. Thus, the Cries trilogy was born: Cries of Innocence, Cries of Grace, and Cries of Mercy (due out in May 2019). More importantly my writing is about how people maneuver through life, its highs and lows. Do they reach out in faith and determination, letting God lead them? Or do they sink under the weight of life? In both cases, their choice is determined by the condition of their heart. If we face challenges feeling defeated, we open the door for Satan’s entry into our situation. Satan’s evil and his intent to sabotage lives, twisting truth into lies, is so insidious it slips in unnoticed, consuming us. Desperation and anxiety, addiction and health issues often follow. How do we begin to face challenges in light of a risen Savior who loved us enough to die for us, who wants us to seek Him for strength? 1. Believe God is who He says He is. People who know God’s name trust Him with their heart. 2. Believe God can do what He says He can do. 3. Believe you are a child of the King, loved beyond measure. 4. 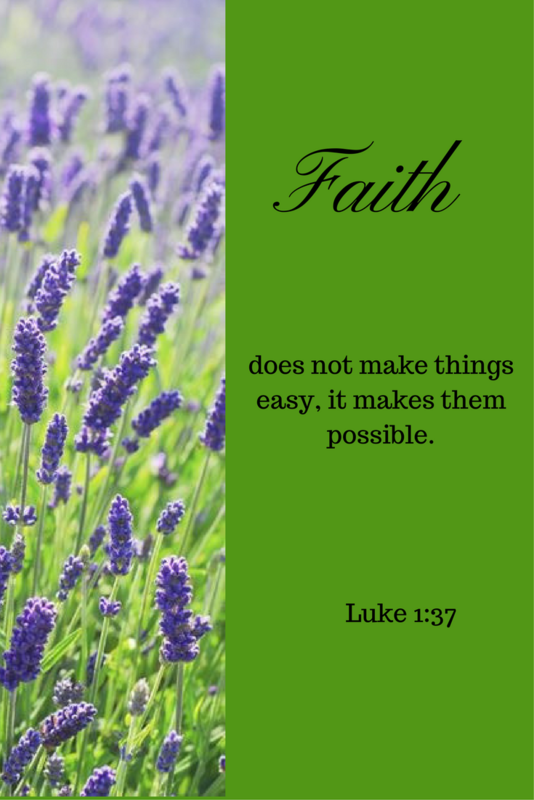 Believe you can get through anything with God’s help and guidance. 5. Believe the Word of God, study it, memorize it, sink it deep within your heart until it is alive and active within you. 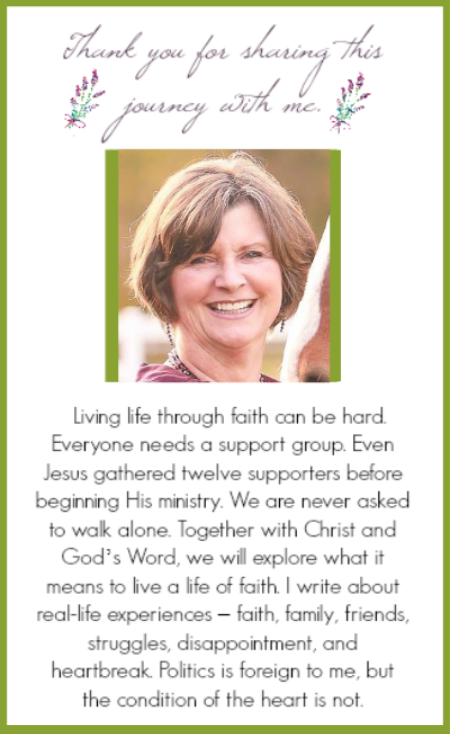 The above statements are modified from Beth Moore’s 5 Statement Pledge of Faith in her book “Believing God”. 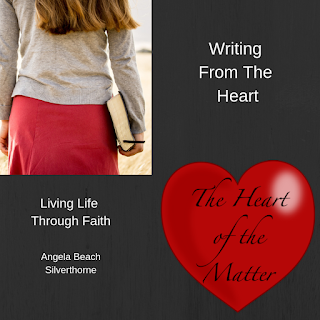 The first time I heard Beth Moore declare them, I wrote them on my heart as my belief statements. I can’t tell you how many times I’ve shared them with others and seen the change in their faces when they heard these powerful words. That’s why I offered these life statements to my story characters. Some received. Some didn’t. All had choices just like you and me. Navigating those choices, problem solving, and bringing it back under the authority of God, kept hope and perseverance at the forefront of their decision making. That’s my goal as an author, letting the reader see what happens when we stand in the light of our Savior verses standing alone, struggling. Writing is my life’s joy. God is my fortress, my anchor through life. Identity is my genesis, my name, story, connection to life. 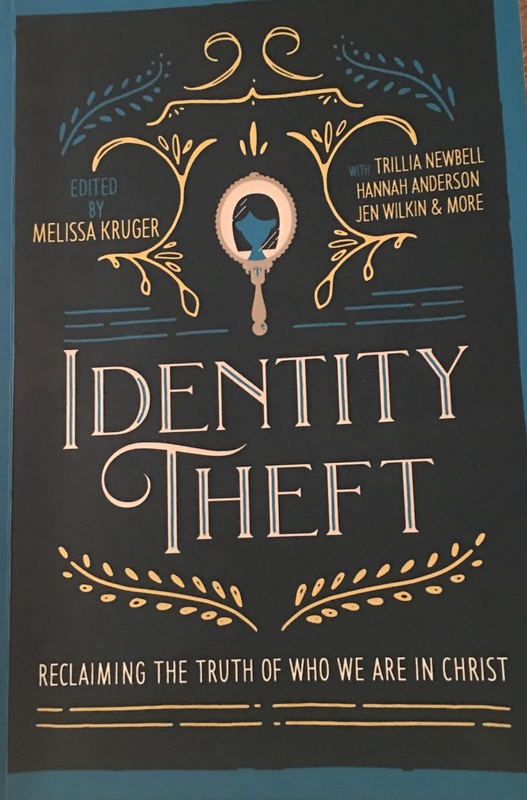 As a young woman I tried to create my own identity. I loved reinventing myself. Every Saturday morning my mother would take me to the movie theater. I’d come home adopting my favorite actress’s stance or subtle smile. I worked hours on end trying to mimic Twiggy’s pout, overarched eyebrows, and double-thick mascaraed lashes. But I owned this metamorphosis and could cause its demise with the swipe of a Ponds cold cream filled washrag. Sometimes it’s fun to reinvent yourself, pretend to change your identity. But often the desire to change is due to fear. Fear of not keeping up, not being like others. No one wants to feel different. True identity is fragile, especially if we base it on a cultural worldview rather than God’s Biblical viewpoint. 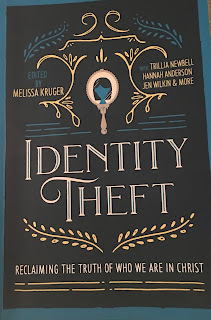 During our Christmas dilemma of possible identity theft, my husband and I were able to pull back and re-center ourselves. I was so thankful my daughter had asked me to do a Bible Study with her last November that prepared me. Sharing some pivotal comments from the book with my husband allayed his concerns. We all need to understand and know who we are in Christ in order to keep our focus on our true identity. not received mercy, but now you have received mercy. Remember who you are in Christ. Remember all He has done for you. You are His and He is yours. Remember you are who Christ says you are. A wonderful life-enriching book. I hope you will buy it and enjoy each chapter. It will stretch your understanding of your identity all the way to the Throne Room. 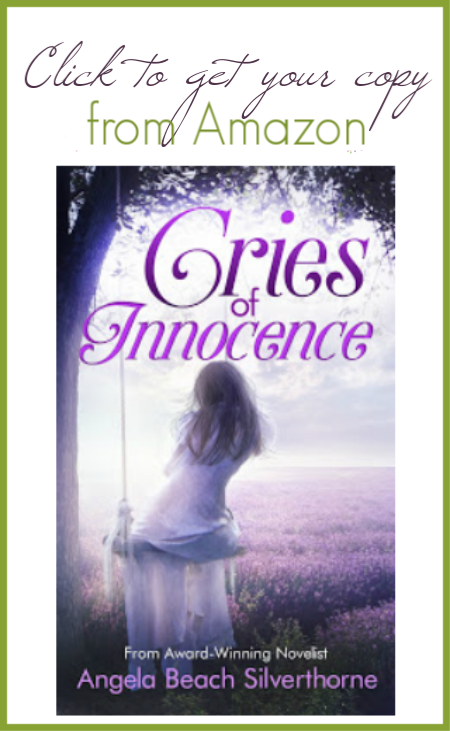 As a thank you for signing up for the newsletter, you will receive a PDF of the first chapter of Cries of Innocence. As a special treat, you can also download Alicia Swain's Recipes to Heal Hearts. Alicia is a prominent character in the Cries trilogy. You'll love her and her divine recipes.